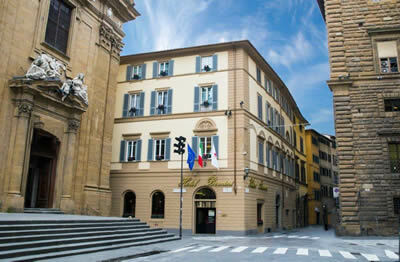 The Bernini Palace is a good five-star hotel in one of the very best locations in Florence. 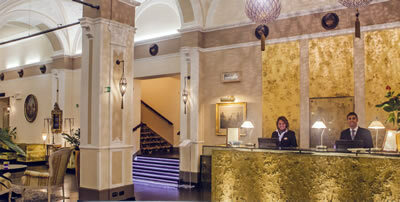 It is also distinguished by the friendliness of its staff and by the excellence of its General Manager. 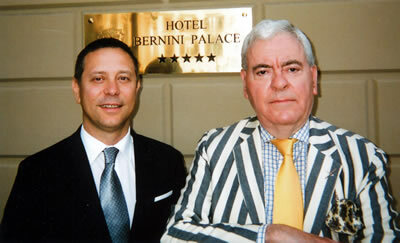 Mr David Foschi has been at the hotel for thirty years (man and boy, one might say, for he is still youthful – as the photograph with your correspondent shows). He clearly loves the place, and his affection appears to be shared by his whole team. Certainly, everyone I encountered during my stay seemed to be happy in his or her work. And, as we all know, a happy staff makes for happy guests. 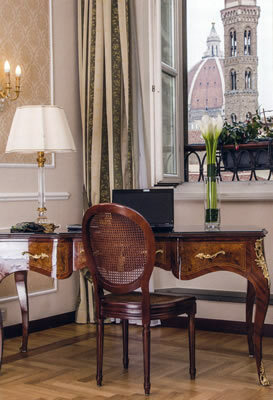 The hotel inhabits a handsome period building next door to the Church of St Philip Neri, in a quiet street only a few steps from the epicentre of Florentine life, the Piazza della Signoria. 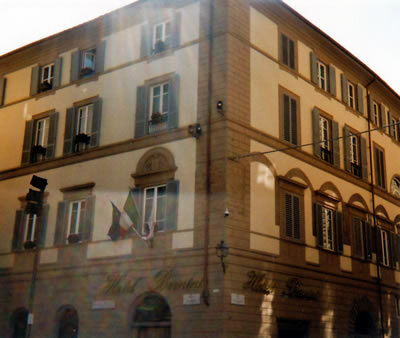 It has been an hotel since the 19th Century – and, indeed, in that century was used by parliamentarians when Florence was for a brief period the capital of Italy. The Bernini therefore has a pleasing patina, which imparts to it the sort of charm for which more modern establishments can only long. 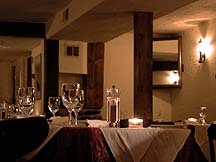 Many improvements and much restoration have been done recently, but all has been done sensitively, so that the establishment’s charming ambiance has been retained. 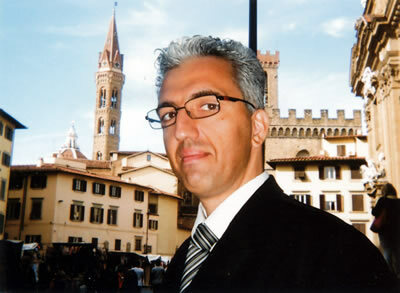 A happy surprise upon my arrival was to see a face I knew – that of Mr Alessandro Becattini, whom I met when he was the Head Concierge at another hotel in Florence. Now he has brought his considerable talents to the Bernini Palace. 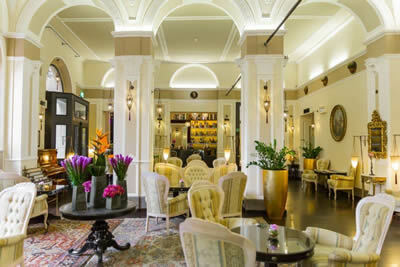 As he escorted me through the stately public rooms towards the lift, the atmosphere seemed entirely right. I stayed in room 410, a suite on the fourth floor (620€-850€ a night, bed and breakfast for two, according to season). Here I entered straight into my sitting room, a chamber of about eleven feet by nine, which offered me two handsome fauteuils, a writing desk in the style of Louis XVI, a television, a crystal chandelier and a rather grand coffee-making machine. Panels of beige figured silk decorated the walls and the floors were of polished wood. Double doors led into the bedroom, with a second television and a second crystal chandelier. Then it was through a proper dressing room (with fitted wardrobes and a private safe) to the bathroom. This tile-clad chamber was very spacious indeed – and, if there is one thing I like, it is a spacious bathroom. Given so much space, it was a pity the bath tub was not larger, but I gather this deficiency might be dealt with before too long. Still, there was a separate shower, as well as two wash basins, the loo and a bidet. All in all, this was pleasant and comfortable accommodation. I found the large Breakfast Room on the first floor pleasant and comfortable, too. Brightly lit by huge chandeliers of wrought iron, its painted ceiling is surrounded by the named portraits of various august gentlemen. I took it these were some of the afore-mentioned members of parliament. There was canned music, but as it was of the Classical sort and its volume was discreet, it imparted a touch of civilised sophistication. Many of the tables are on the small side, but each morning I secured a large round corner table at which I could tuck in heartily (for my breakfasts tend to be both long and substantial). I have already mentioned the admirable demeanour of the hotel staff. This was particularly evident at the morning service, at which everyone was full of smiles and seemed genuinely keen to help. To my table each morning I brought from the buffet various comestibles, of which I particularly liked the apple tart, the scrambled eggs, the cheeses and the grilled sweet peppers. Meanwhile, the friendly waitress secured for me coffee in pots of white porcelain, dishes of ice cubes and, as always, my concluding cappuccino. 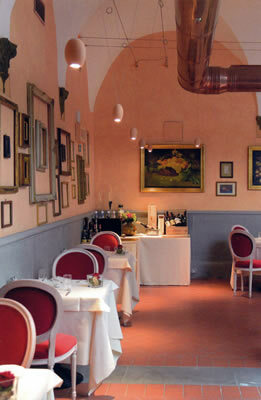 Dinner at the Bernini Palace is served in its dining room on the ground floor, La Chiostrina. Here I was looked after by the Restaurant Manager, Franco – a courteous and helpful gentleman, who kindly had the canned music changed from ‘popular’ to Classical. Indeed, he looked after me so well that I thought I must present to you his picture, which I now do. 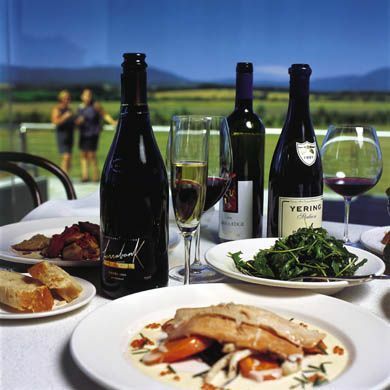 The wine list is brief and to the point, with 50 offerings – all of them, apart from the champagnes, Italian. 12 wines are offered by the glass – a Chianti Classico (Peppoli 2013) is 7€. Prices for bottles run from 18€ for a white Tuscan vermentino to 316€ for the 2011 vintage of Solaia. The same vintage of Sassicaia is 225€ and of Ornellaia 215€. 2010 Tignanello is 164€. I drank a lovely, soft, elegant, feminine Brunello di Montalcino (Leonardo, 2010 – 55€), and delighted in its lingering, delicate charm. 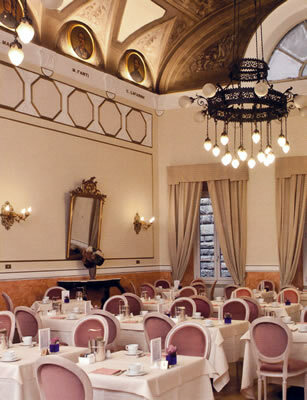 The five-star Bernini Palace offers comfort, good service, fine food and friendliness in a wonderful location. 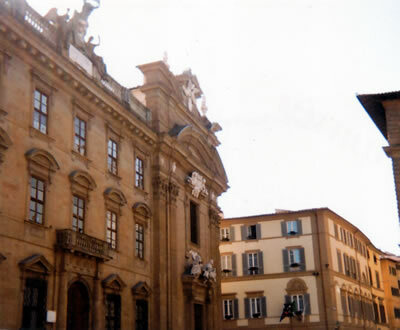 To be able, after a hearty breakfast or a satisfying dinner, to wander out into the centre of Florence and gaze upon some of the finest artistic achievements of mankind, is a true privilege. Piazza San Firenze 29 (Piazza della Signoria), 50122 Florence, Italy.